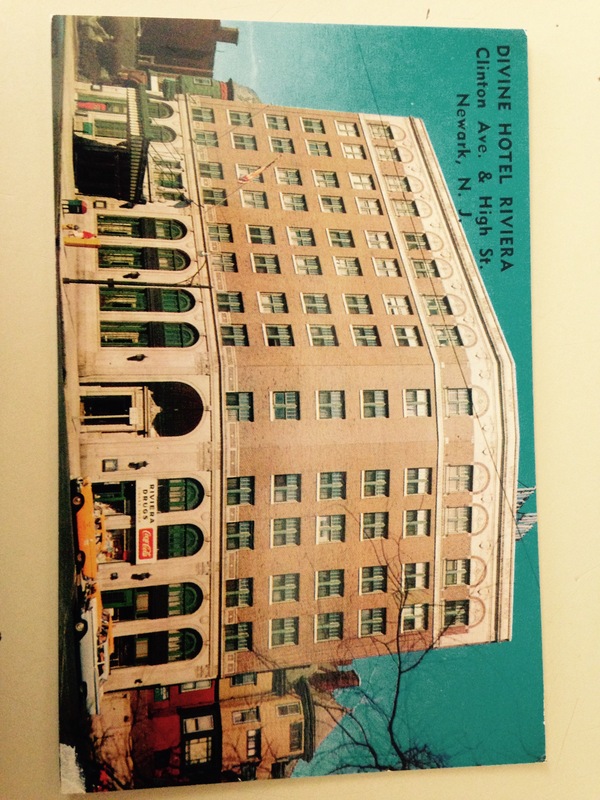 The Riviera Hotel opened in 1922 and was known as Newark’s first million dollar hotel. Built on the corner of High Street and Clinton Avenue, in a beautiful neighborhood of large Victorian homes, the structure, in my opinion , while not ugly, looked completely out of place on that prominent corner. For much of the 1920’s it was the hotel of choice for politicians, judges, businessmen and even the occasional mobster. The Riviera had a dining room and a very nice cocktail lounge as well as a drugstore. The Great Depression caused the hotel financial difficulties from which it never fully recovered and the “smart” set moved on. Enter Father Devine. 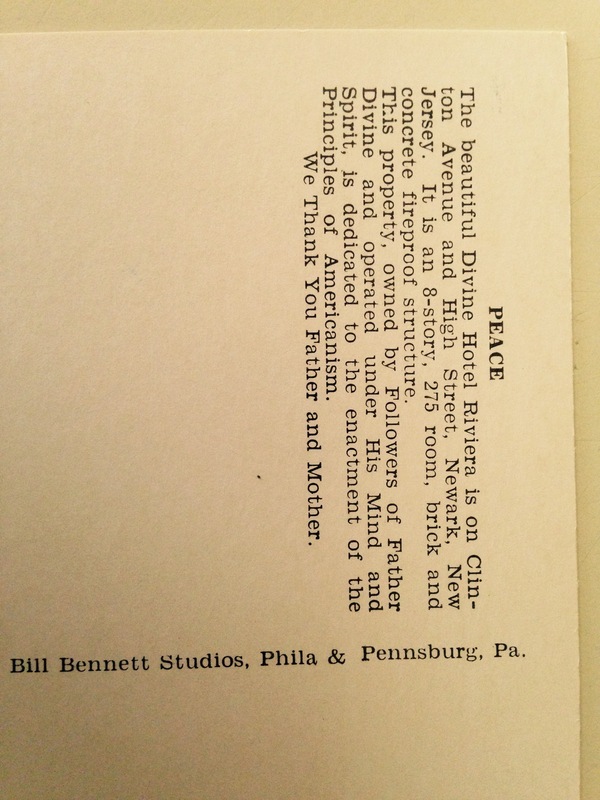 In 1949, Father Devine purchased the Hotel Riviera for $550,000 cash. Father Devine was a well known preacher who had a large and loyal following. He forbade alcohol, smoking and believed that men and women should not mingle gratuitously. He also desegregated the Riviera, which was now known as the Devine Hotel Riviera. Eventually, all those large old Victorian houses were destroyed, leaving the Riviera in isolation. The hotel is still open. 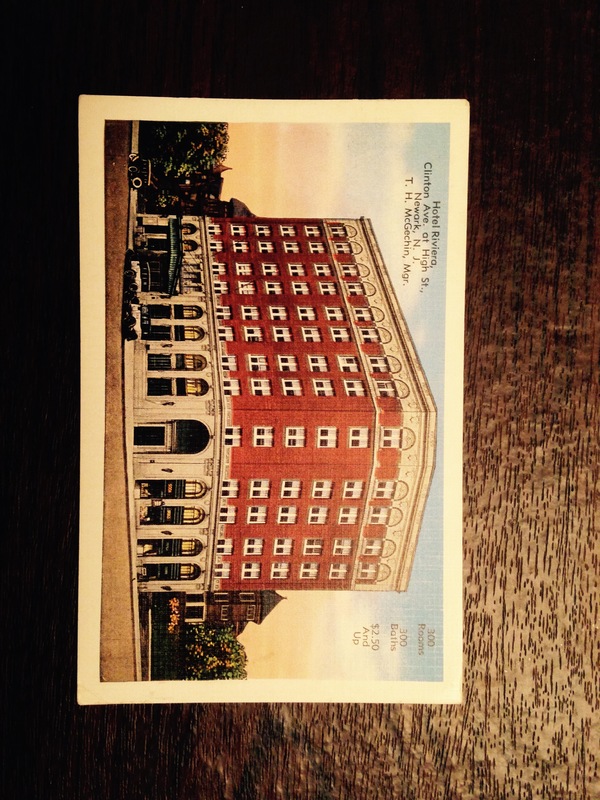 The two post cards in this blog depict the hotel in the 1920”s and the other after Father Devine purchased it.